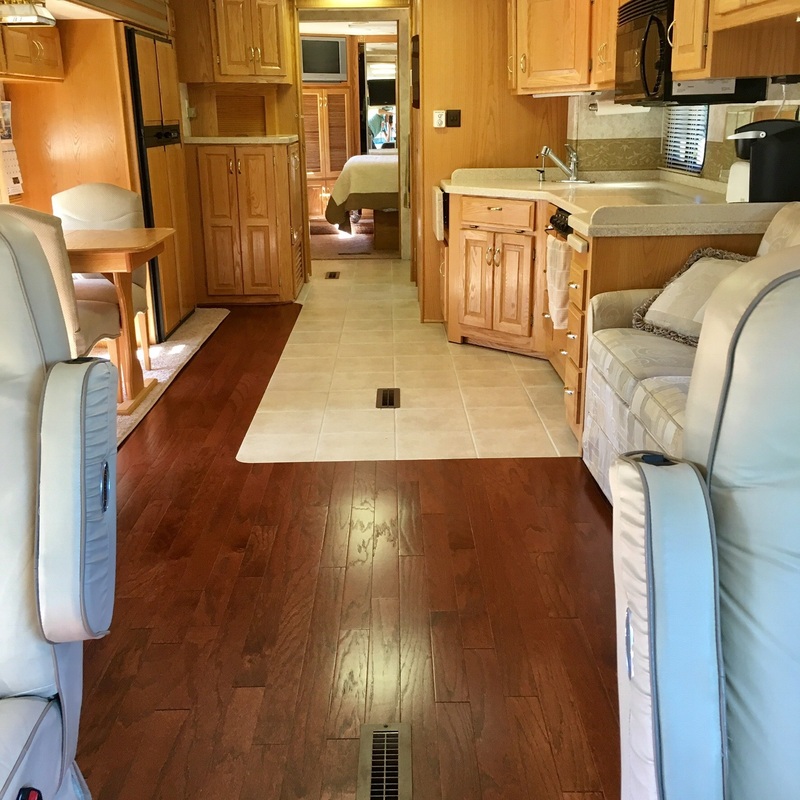 RV Flooring Replacement – Get a new look with a new floor! Get a new look with a new floor! 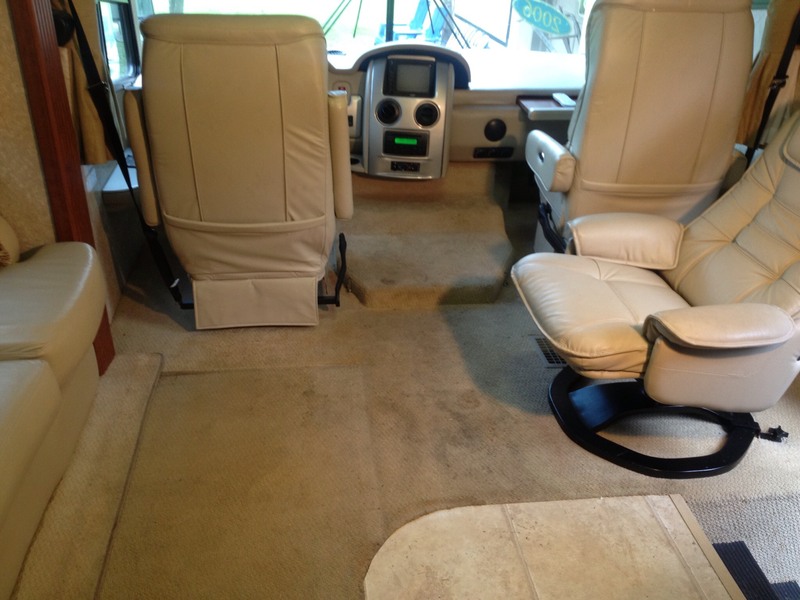 Get a new look instantly with new RV flooring. With over 25 years of experience we have the skill to give you the best product and service to make your RV like new again. 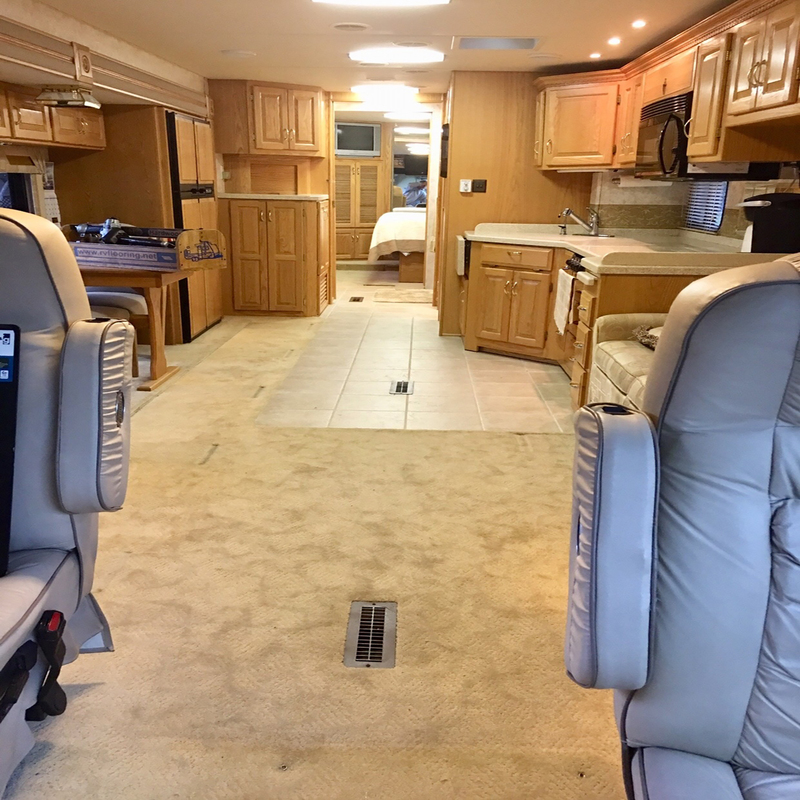 We are able to replace the flooring on all makes and models of Class A and Class C style motorhomes, fifth wheel RVs, as well as pull behind style RVs with new carpet, hardwood, and/or vinyl. We offer quick turn around times on our installation that are a fraction of what major dealers typically offer. 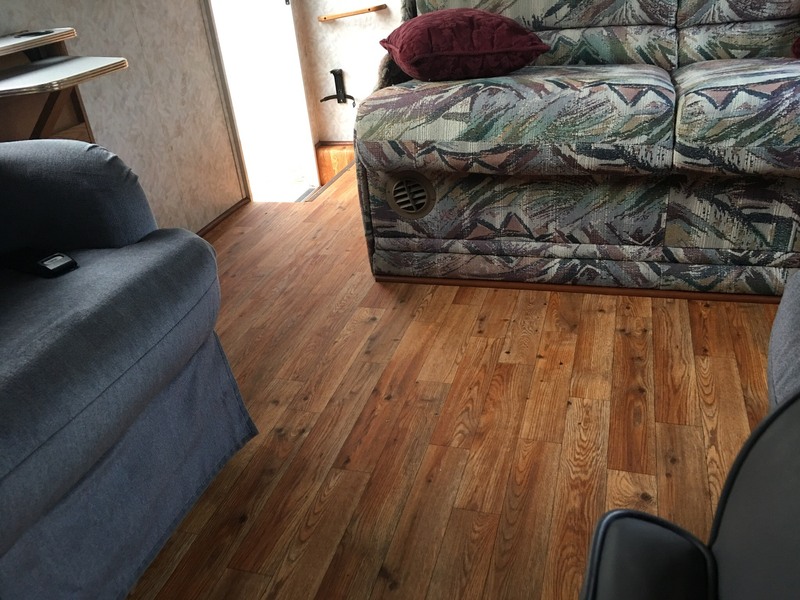 Hardwood flooring – also referred to as engineered hardwood – or laminate hardwood is one of the most durable flooring types to install in your RV. Will not mat down like carpet does in high traffic areas. 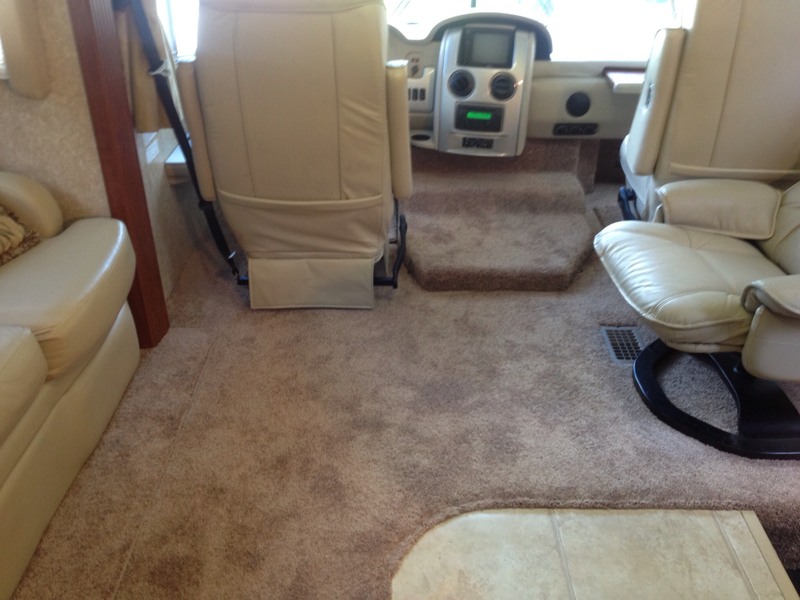 Switching out your current flooring to hardwood flooring also increases the value of your RV. 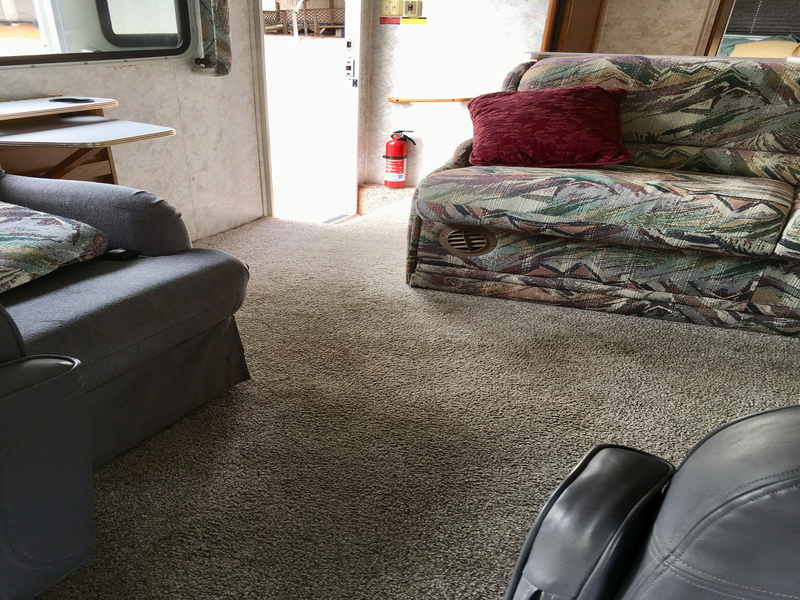 Replacing the carpet eliminates old pet odors, refreshes the look of your RV by removing matted down carpet, and our professional installation looks like an original factory installation. Vinyl flooring is also easy to keep clean and one of the favorite options for pet owners. Newer products like vinyl plank flooring have added more options for RV owners, allowing you to create a unique wood look while keeping the benefits of vinyl.